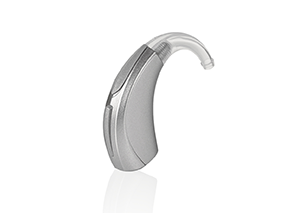 Behind-The-Ear (BTE) hearing aids sit behind the ear with a tube that is directed into an earmold that sits inside the ear canal. These types of aids are quite discreet and are generally more durable due to the fact that the electrical components are housed outside of the ear. Contact Living Sounds to learn more.